A Review of: "The Search for Noah's Ark"
A review and critique of the 2008 video, "The Search for Noah's Ark," produced by the BASE Institute of Colorado Springs, CO.
Cornuke is founder and CEO of the Bible Archaeology, Search and Exploration (BASE) Institute of Colorado Springs, Colorado. In 2005 and 2006, Cornuke and select volunteers visited Mount Suleiman in the Elburz Mountains looking for an object they suspected might be the remains of Noah’s Ark. Prior to his claims about Mount Suleiman, he was convinced that the Ark had landed on Mount Sabalan in Iran (Cornuke and Halbrook 2001). After his third trip to Iran in 2006, he posted articles on his website detailing the reasons why he thought Noah’s Ark might have landed on Mount Suleiman, northwest of Tehran in Iran: (Some have since been taken down). http://www.baseinstitute.org/index.php?option=com_content&view=article&id=51&Itemid=65. Cornuke’s claims have been examined and reviews posted on the Web - see Did the BASE Institute Discover Noah’s Ark in Iran? - and by multiple authors (http://noahsarksearch.com/iran.htm). At the end of the reviews Cornuke was challenged to publish his findings from Mount Suleiman in a scientific peer-reviewed publication but none have been forthcoming. When people talk about the boundaries of Urartu -- which is the Assyrian designation, Armenia, [the] more modern designation -- They can’t be precise. There is not a boundary that you can draw a line around. It expanded and contracted up to a thousand [1,000] miles based on war, or famine, or some kind of drought, very mercurial in the boundaries. So we can say it’s just right in that area of Turkey, the area of Iran, the area maybe of Azerbaijan. It’s just right in that area of the world; we just can’t be precise where in the area when we are talking about Iran. It’s right where the Bible indicates it should be [12 min. :30 sec.-13 min. :08 sec. into the video]. The apparent conflict between 8:4 and 11:2 is more easily resolved with a more indefinite interpretation in our opinion. It should also be pointed out that that there is least a 100-300 year period between the landing of the Ark after the Flood (Gen. 8), and the Tower of Babel event (Gen. 11). The peoples could have easily moved from where the Ark landed to other locations east or west of Shinar [Babylonia] before the Tower of Babel story took place. In this review we want it to be perfectly clear that in no way is this review personal, either about Bob Cornuke, or anyone who appears in the video. Our sole concern, at this point, is to review the information and make informed comments. If it was the motive of the producers to instill confidence among believers that the Bible is true, this sets a poor precedent, and could have the opposite result. Even worse it is a poor testimony to unbelievers. Gordon Franz is an archaeologist on the staff of the Associates for Biblical Research. Did the BASE Institute Discover Noah’s Ark in Iran? Mount Ararat Archaeological Survey published in the Summer 2008 issue of Bible and Spade. 2006 Mount Cudi – True mountain of Noah’s Ark. Bible and Spade 19/4: 99-113. 2007 Mount Ararat Archaeological Survey. Bible and Spade 21/3: 70-96.
i didn't notice but how do the two theories mentioned above deal with the gertrude bell and william shea dicoveries of noah's & family's tombs in the mt. 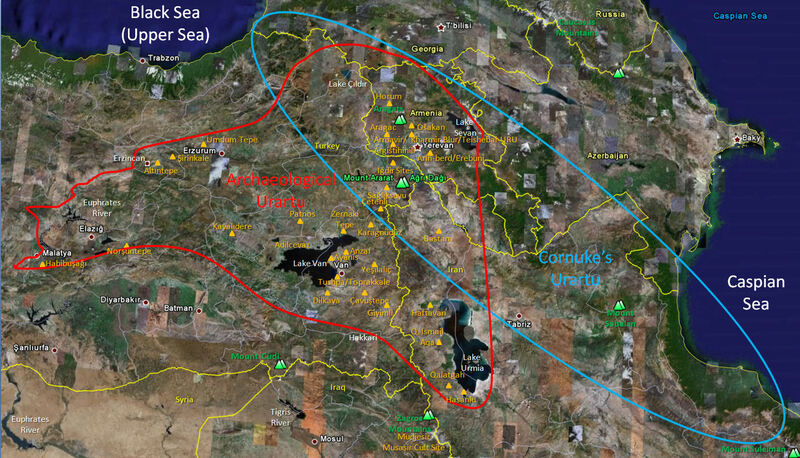 agaratz region of armenia? looks like on the map that the red and the blue circles encompass that area. Woldn't simple logic say that Noah disassembled the Ark to bild hoses and other shelter? (Sorry my " " key is not working.) I wold not expect to find any portion of the Ark. I assme that there wasn't any other bilding material readily available and since shelter wold be one of their first needs they wold simply take the Ark apart and rese that wood. I imagine they lived in the Ark ntil they had to move down the montain. Not an approach that will earn me a doctoral degree, bt sometimes the answer is very simple. Thanks for writing and for your question about Noah's Ark. seen on Mount Ararat, usually partly buried in ice and snow. elevations if needed - plus loose rocks to build stone structures if desired, as well as caves. Tents, whether of skins or cloth, would have been another option. while as well, until they were able to build more permanent dwellings. I hope this has stimulated your thinking. Thank you again for your question! 13 So God said to Noah, "I am going to put an end to all people, for the earth is filled with violence because of them. I am surely going to destroy both them and the earth. 14 So make yourself an ark of cypress [a] wood; make rooms in it and coat it with pitch inside and out. 15 This is how you are to build it: The ark is to be 450 feet long, 75 feet wide and 45 feet high. [b] 16 Make a roof for it and finish [c] the ark to within 18 inches [d] of the top. Put a door in the side of the ark and make lower, middle and upper decks. 17 I am going to bring floodwaters on the earth to destroy all life under the heavens, every creature that has the breath of life in it. Everything on earth will perish. You'll also note that the dimensions of the "arc" were 450 feet long, 75 feet wide, and 45 feet high. These are the dimensions of a box - a rectangular one. The word "arc" in Strongs Hebrew & Chaldee Dictionary # 8392 means "Box." This means the "arc" was NOT a boat like we know it - it was like a house boat with a flat bottom. When the waters rose - it rose. This would have also allowed more space for the animals. The Lord went to great detail in other old testament books to describe things, for example the Tabernacle: the dimensions, the quality, the wood, fabrics, how everything needed to be constructed can be found there. Why would God neglect the dimensions and details of a boat with a hull and keel? He wouldn't! His directions were simple and explicit. It was a box with three stories - like a house boat NOT a boat with rounded sides. I would love to comment on both Mitchell and Mr. Lansers. I have been studing about artifacts found to help me in my quest to prove the bible to be true and stumbled upon this website. To first address Mitchell, i noticed that you mentioned the fact that you thought that the Ark would not be found. I would like to say that I enjoyed reading what you had to say about why you thought this to be true. I would have to agree that Noah would have had to use some of the wood for his own use. In Genesis 8:20, it mentions the fact that Noah made an alter to God. In my point of view, i believe that he would have use some of the wood from the ark to do so. Next to address Mr. Lanser, I also agree with your comment about Noahs family not needing the wood to build a shelter. But I would also like to point out the fact that wood rots. It is extremely possible to never find any part of the Ark for this reason. Fragments may be found though. I am not totally outing the fact that there may be bits and pieces of the Ark left to be found. I may be totally wrong in my evidence. But as I have studied, this is what I have become conclusive in. Please let me know what you think about my thoughts! Thank you for your e-mail. I agree with you, the classical children's book portrayal of Noah's Ark, as a boat with a rounded bottom and full of cute animals, is wrong. Such pictures were drawn by people who did not take the Bible seriously, and let their imaginations take over. You will be glad to know that there have been reports of many eyewitnesses who say they saw the Ark mostly buried in ice on Mount Ararat in Turkey, and that it had the form of a box-like barge. You can read a summary of these reports on http://noahsarksearch.com/Eyewitnesses.htm. Some artist's renderings from the testimony of George Hagopian are found at noahsarksearch.com/.../HagopianPainting197601.jpg, and from the Ed Davis testimony at noahsarksearch.com/LeeElfred/DavisEd1987.jpg. There are other pictures found at http://noahsarksearch.com/LeeElfred/. It is GREAT that you are letting God speak to you through the Scriptures. Continue to let Him do so, for that is the path of truth and blessing. ghost. This is most interesting tho, I must say, Thank all of you for your continued work on this subject. when i see comments like this, I begin to wish that scholars and archaeologists would take the time to learn about other fields before they comment. the wood 'lying around at lower levels' would have been water soaked for about a year and would not be good for any type of construction. "Tents, whether of skins or cloth, would have been another option. " A previous report about the Ark being found in 1978 by Ron Wyatt seems more reasonable and provides more information and pictures of the find. 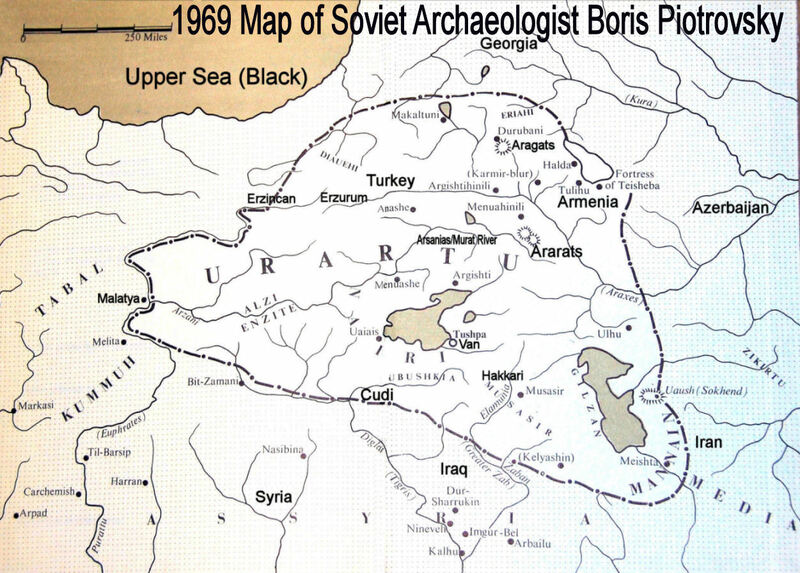 It locates the find at a mount in Turkey some 18 miles from the Ararat mountains. From the location, Ararat can be clearly seen, just as the bible describes it. The Turkish government built a visitor's center close to the site from where the ark can be seen. For some reason, a lot of the finds Mr. Wyatt reported have not been given the proper exposure. He also claim to have found mount Sinai and the valley where the israeli dwelled for forty years, the site where the israeli crossed the Red sea, Sodom and Gomorrah. To me, it seems, he is not given a lot of credibility because he was just an amateur archaeologist that found more stuff than the so called "professionals" in the subject. Ron Wyatt, now deceased, was not a credible scholar. He was an anesthetist with no training in archaeology or the ancient Near East. He was merely an adventurer. Wyatt was a Seventh Day Adventist and has been thoroughly refuted by his own denomination (Holy Relics or Revelation—Recent Astounding Archaeological Claims Evaluated, by Russell R. and Colin D. Standish, published by Heartland Publications in 1999 (www.biblearchaeology.org/.../product.aspx?id=108). ABR has published a research article debunking the claim that Mt. Sinai is located in Saudi Arabia: www.biblearchaeology.org/.../...Saudi-Arabia.aspx. In short, the Bible records that the sea crossing took place at the beginning of the Exodus journey, closer to Egypt, rather than at the end of the journey, closer to Mt. Sinai, as Wyatt’s theory would have it. Even more damaging is the fact that it took the Israelites but 60 days to reach Mt. Sinai (Exod. 19:1). Travelling by foot with all of their animals, they only would be able to make 5–6 miles per day, much too slow to reach Saudi Arabia in 60 days (see www.biblearchaeology.org/.../...Mount-Sinai.aspx). According to the requirements of Scripture, the sea crossing took place in the Isthmus of Suez. I believe it was at Lake Ballah, no longer seen today since it was drained when the Suez Canal was cut (see www.biblearchaeology.org/.../...ossing-Part-I.aspx and www.biblearchaeology.org/.../...ing-Part-II.aspx). Mt. Sinai should be located somewhere in the northeast Sinai (see www.biblearchaeology.org/.../...th-Mt-Sinai.aspx). Note that the so-called “chariot wheels” at the bottom of the Gulf of Aqaba shown in the presentation have four spokes whereas Egyptian chariot wheels have six spokes. Ron Wyatt did not discover anything that has held up to close examination. For example, the chariot wheel in the YouTube video was found to have been put there for making the video, and is not even an ancient Egyptian wheel. The YouTube videos are designed not to give scientific facts, but to get you to send in money to the Wyatt supporters. There is much evidence the claims are fraudulent at http://www.tentmaker.org/WAR/ and www.answersingenesis.org/.../report.asp. ABR wants to promote any discoveries that uphold the historical reliability of the Bible, regardless of who makes them. But we refuse to promote self-serving and apparently fraudulent information. There are many out there who make a living doing just that. I hope this information has helped you be a discerning reader of such information. We hope that this information is helpful to you. Thanks again for your comments and interest in the ABR ministry.